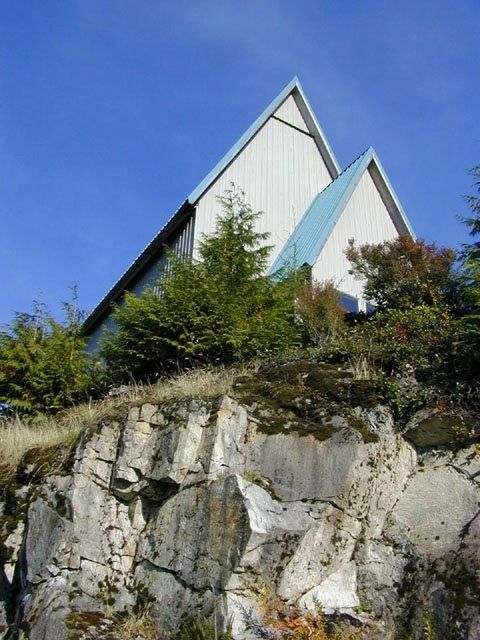 The University of British-Columbia Liquid-Mirror Observatory was established in 1995 at Maple Ridge, approximately 60 kilometres east of Vancouver. The goal of the observatory is to develop and test new liquid mirror telescopes. Liquid mirror telescopes are part of the next generation of super telescopes. A liquid mirror is made of a strongly reflective liquid (like mercury, for example) that rotates so that its surface curves and takes the shape of a paraboloid, which will direct and concentrate light to the focal point of a telescope. This type of mirror has a major advantage over conventional mirrors in that it is much cheaper to build (up to 100 times less expensive). 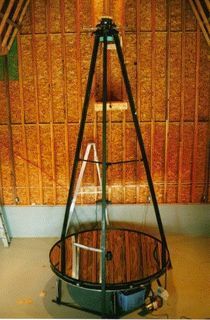 In 1982, Ermanno Franco Borra, a professor in the Physics Department at Laval University in Quebec, revived the historical proposal of creating liquid mirror telescopes and sought to demonstrate the feasibility of such a project. Several liquid mirrors were subsequently developed at Laval University in the 1980’s. 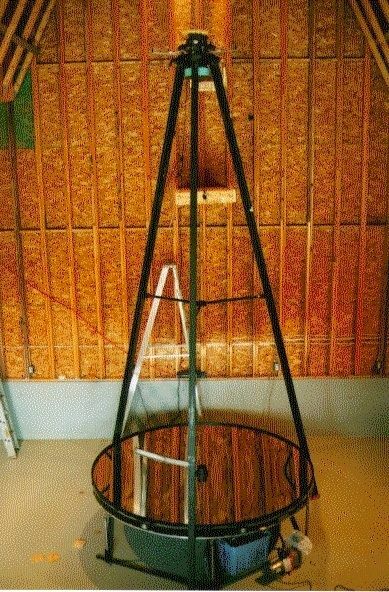 In 1994, Paul Hickson of the University of British-Columbia completed the construction of the first liquid mirror telescope in collaboration with Borra. The mirror measured 2.64 metres in diameter. The following year, Hickson installed his telescope in the newly inaugurated University of British-Columbia Liquid-Mirror Observatory. In order to test it, the liquid mirror examined galaxies along a strip of deep sky, and the results were conclusive giving the green light to a new series of experiments that would lead to the construction of a bigger and more powerful liquid mirror. The efforts of Hickson and his collaborators culminated in 2004 when the 6-metre liquid mirror Large Zenith Telescope went into operation. The name Zenith is derived from the fact that the telescope always observes the zenith – that is, directly overhead – because the liquid mirror cannot be tilted (the mercury would fall out of the dish). The Large Zenith Telescope is the third largest optical telescope in North America and the largest liquid mirror telescope in the world. Despite its enormous size, the mirror components weigh only 3 tonnes. At the present time, the observatory is involved in two large-scale projects. The first is the construction of the ALPACA telescope (Advanced Liquid-mirror Probe for Astrophysics, Cosmology and Asteroids), which consists of a liquid mirror measuring 8 metres in diameter. The second project is LAMA (Large Aperture Mirror Array), which consists of an array of 66 liquid mirror telescopes each measuring 6.15 metres in diameter. The array will simulate a telescope measuring 50 metres in diameter.